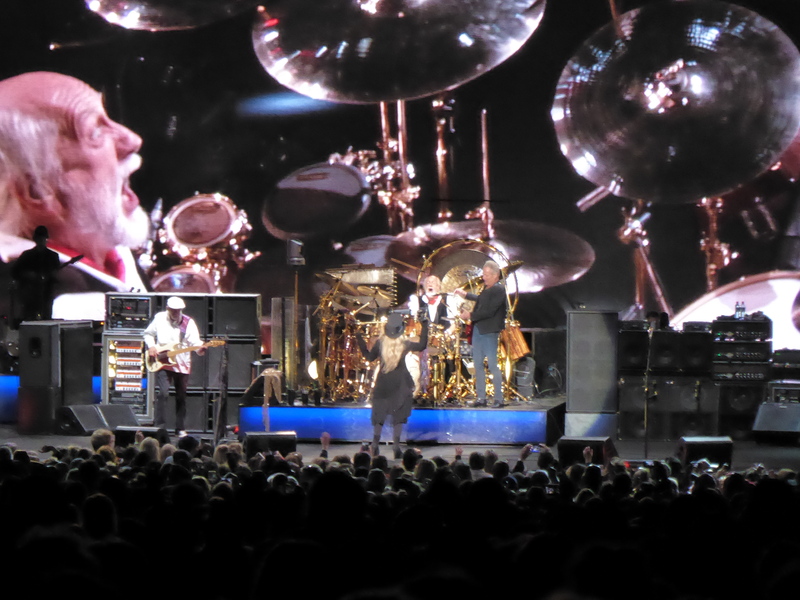 So that old ticket from the last cancelled tour might still be flapping around somewhere in a drawer but stumbling across that won’t bring any sense of discontent anymore – seeing Fleetwood Mac can now be crossed off the list. While the sun was still shining local lasses Stonefield cranked up the rock, honouring their planned role as supports last time around before a mellower Angus & Julia Stone took the stage. 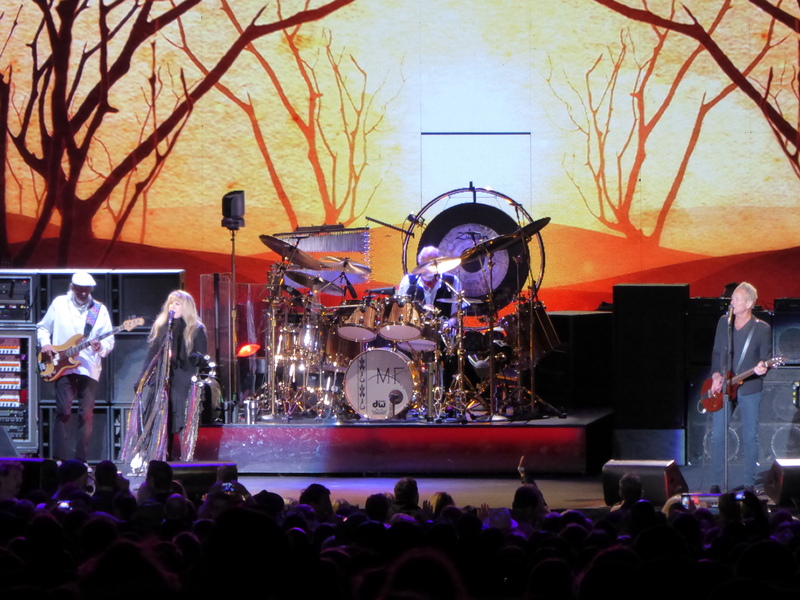 By sunset, anyone would have thought we were stuck in a blizzard on hearing Stevie Nicks griping about the cool conditions (certainly fresh, but nowhere near freezing) but maybe that was cause for the additional dancing in the crowd…or maybe that was the wine? The Rumours bandwagon continued with a ripping Second Hand News before that unmistakable riff from Rhiannon, and almost overlooking that Everywhere would make an appearance. Keeping the big tunes rolling in with a mammoth take on Tusk, a few other tunes made sure that this wasn’t just a Rumours album revisited show. There was nothing short of envy for that glittery gold shawl draped around Stevie Nicks (Gold Dust Woman indeed), after a special dedication to a local teacher with Landslide and tales of the Velvet Underground as a prelude to Gypsy but Lindsey Buckingham and Mick Fleetwood were big drawcards here. 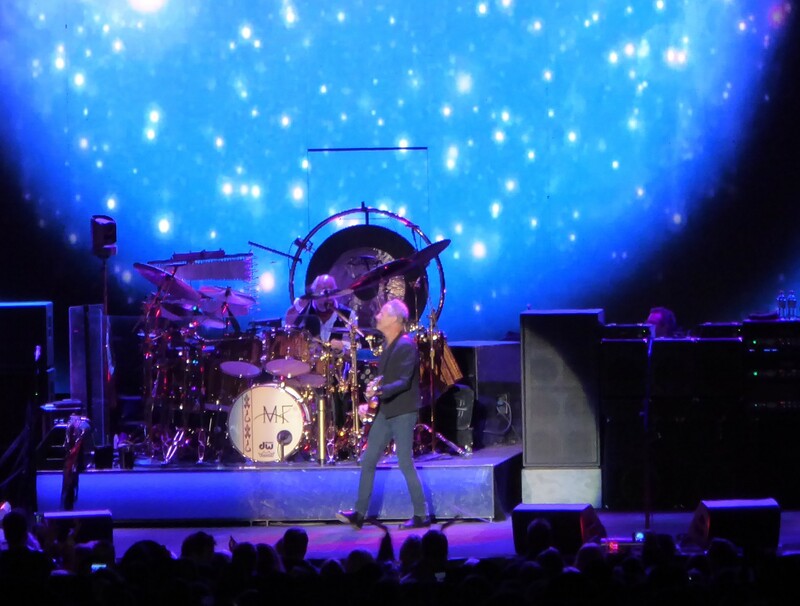 Lindsey had the run of the stage with the ladies during the main set as well as a load of historical banter and a solo on Big Love, so come the encore it was Mick’s turn, complete with drumcam footage from all angles during an epic starring solo during World Turning. And then, almost as an afterthought Christie returned with Lindsey in tow for a second encore of Songbird – as momentous as that was it’s a bit of a sad one to wrap up with and definitely felt like a goodbye, when only moments before the grounds of Mt Duneed Estate were turned into a animated karaoke pitch during Go Your Own Way and Don’t Stop.